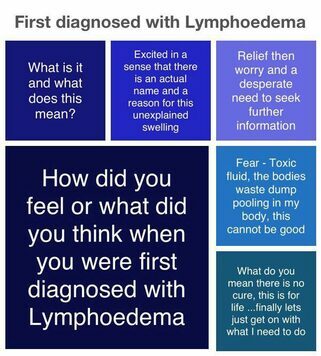 On first being diagnosed with lymphoedema your first reaction is nearly always "lymph what?" Throughout this page I will be featuring member's comments and stories. Everyone who lives with lymphoedema has a story, some positive but many more tell of the challenges they face every day. I am lucky that I have always been a prolific writer, although these days because my arm and wrist ache I tend to type more than write. Writing can also be cathartic, you can write a list of pros and cons re your lymphoedema. You can put your thoughts down without offending other people and it is also lovely to go back 12 months later have a read of your thoughts and see how things have improved. So give it a try. "I find that having lymphoedema is a constant reminder that I 'HAD CANCER'. There is no getting away from it, as it is always there. Those compression garments are a real pain to get on, on your own. There are days that I can't even get it on. I have to ask my family or friends to help me put the compression sleeve on. I have trouble getting it on as the medication makes all my joints ache, which gets me down as well, if I had not had cancer I would not have these problems." Thank you to Julie for sharing how you feel and allowing me to put your words on the website. I think Julie's post is a powerful one. Her feelings are shared by other lymphoedema patients who face the same daily challenges. Listening to the members on L-W-O Support Group I am beginning to feel very strongly that when a diagnosis for lymphoedema is made that counselling should be made available. With a review 12 months after the initial diagnosis with further reviews if needed. I do not think it is fair for qualified therapists who administer treatment to have to act as counsellors and deal with the emotional problems their patients have, because of their lymphoedema. Most therapist's will only have time to treat the lymphoedema, measure affected limbs and fit compression garments. They will not have the time to listen to all the associated problems lymphoedema causes. L-W-O members have identified that their emotional state often caused a breakdown in communication between themselves and their therapists. The patient then leaves clinic angry, frustrated and upset, this causes stress, which then exasperates their physical and mental well-being. 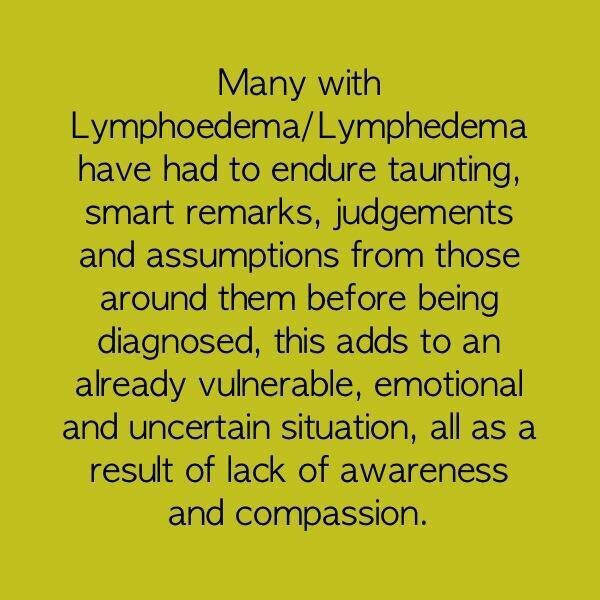 Lymphoedema comes with feelings of anger, anxiety, frustration and in the case of secondary lymphoedema sadness for the life we once had. Or maybe, in the case of primary lymphoedema a life where you have known no different but equally life grinds you down in the same way. It is very difficult to define the feelings of depression and isolation lymphoedema sufferers feel. The psychological problems are there but are probably not seen as much as the physical symptoms. The magnitude of being told you have lymphoedema, a lifelong condition, with no cure should never be underestimated. Lymphoedema has a huge impact on the quality of your life and you have to learn as one of the online members stated "what is do-able". A simple task like filling up the kettle can be extremely painful. Ironing, vacuuming all the chores that need to be undertaken to keep our homes looking nice can cause extreme pain. There will be those that will argue housework isn't important. When applying for welfare benefits in the UK you are asked whether you can wash, dress and make yourself a meal. The fact that you might not be able to do house work or keep your home clean is irrelevant to the assessors. I would argue yes, it is relevant, because I like living in a nice clean, tidy environment. Why? It lifts my mood and makes me feel good, this adds to my emotional well-being and therefore, helps to maintain my physical well-being. Those that have lymphoedema in their legs have to gauge how long they can stand for. This includes household tasks, standing in a queue or when you are working. The other big problem with leg/foot lymphoedema is walking. Lymphoedema patients will be looking for the nearest seat. Town centres have greatly improved seating areas. Supermarkets, DIY stores and even smaller retail outlets need to catch up with seating arrangements. ​Finding a toilet quickly, when you have mobility problems is always an issue. My biggest bug bear is even when there is seating in parks or towns. Why is it always so low? The pressure getting down to sit on these seats is unbearable on legs and especially knees. Lymphoedema patients are constantly having to explain what lymphoedema is either too well-meaning people or people who just don't get lymphoedema. One of the biggest frustrations is when people say "you look well" followed by the assumption that because you look good everything in your world is normal. I only wish people would say "you look well, but how do you feel inside?" The problem here is that people really don't want to know because at the end of the day everybody has problems. "Compassion suits our physical condition, whereas anger, fear and distrust are harmful to our well-being. Therefore, just as we learn the importance of physical hygiene to physical health, to ensure healthy minds, we need to learn some kind of emotional hygiene". This page, like the rest of this website is written from a patient's point of view. I am not qualified to give advice, please always contact your own health care professional. What I can do is show the discussions that take place on L-W-O's online support group and tell you the reader, our members stories, as they tell them to me and each other. I cannot imagine being born with Primary lymphoedema and living with this condition all your life. Initially when I started this website my writing, research and thoughts were all about secondary lymphoedema. This is because I have secondary lymphoedema. 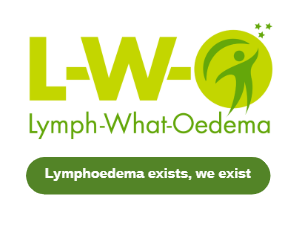 Since starting the online support group on Facebook many of the members who joined L-W-O have primary lymphoedema. The focus of this website and Facebook group has now changed to accommodate both primary and secondary lymphoedema. For me it has been a real learning curve especially trying to balance how I write, as the treatment and management for both primary and secondary lymphoedema is the same. I ask readers of this website to remember, I am a patient, I learn as a patient, I read as a patient, I speak as a patient and write as a patient. At all times you should consult your own Health Care Professionals. "I have had primary lymphoedema in both legs. Because people in my family had lymphoedema as well I really didn't see it as a big problem. We were told there is no cure so we got on with our lives. There certainly where no lymphoedema clinics to go to. My father use to bandage his legs every morning before he went to work. Two of my brothers and I developed it in our teens. My sister was the only one who did not inherit lymphoedema. For my older brother and I, it was a nuisance but my younger brother suffered a lot of cellulitis. I have now had lymphoedema for over 50 years and it wasn't until I recently joined one of the Facebook sites (L-W-O) that I learned about 'secondary' lymphoedema. My first visit to a lymphoedema clinic was in April 2014. I know nothing about MLD until I joined Lymphwhatoedema so this is all new to me and I have yet to master the technique. I am looking forward to the day when I look in the mirror to see a normal pair of legs again. Forgot to say my son now has Lymphoedema and so have his two daughters. His sons do not show signs of having lymphoedema." So the above was Elaine's story posted in her own words and I thank her for allowing me to add her story to this website. Elaine's story is poignant because she has lived with her condition for over 50 years. Lymphoedema has affected four generations of her family. Secondary lymphoedema is caused through injury, trauma or cancer treatment. One of the biggest differences you feel when you are diagnosed with secondary lymphoedema is that it is a constant reminder that you have had cancer. Try to imagine going through all the emotions, trials and tribulations that your cancer brought into your life. You find when you have had cancer you cannot get away from the fact because it is everywhere. It's in magazines on the news, papers, radio, television and the internet all have their stories. I have heard many times from people who have had cancer that they will switch the television off or the channel over rather than watch the adds. There are good, positive stories out there, but lymphoedema patients do not want to be constantly reminded of the vulnerability they feel. When the upheaval cancer caused to your life starts to subside, to be told you have an incurable, lifelong condition that you have to learn to live with. Then you realise that life has thrown you a double whammy. Lymphoedema patients only hear 'incurable', 'lifelong' they don't hear 'manageable' and can be 'treated'. There is a very long way to go to improve these thoughts. There are those that will think the above list is trivial. You can almost hear them saying "why is not being able to chop vegetables or stir food in a pan a big issue?" When you have always been an independent person asking others to do jobs for you really is demoralising. Not being able to work, many of our members feel as if they are disabled therefore, have had to give up work. However, their lymphoedema is not recognised as a disability and it has a big impact on their financial situation. This in turn adds to the stress which is not good for their overall health. These are problems that need to be addressed by those who are looking after lymphoedema patients. Having had breast cancer, I had an operation, two sentinel nodes removed and radiotherapy. My lymphoedema was caused by the radiotherapy and I was diagnosed with breast and posterior chest wall lymphoedema, to give it its official title. Therefore, my lymphoedema cannot be seen which then becomes difficult to explain to people because I don't look as if I have anything wrong with me. I don't get the same questions thrown at me as other lymphoedema patients whose compression garments can be seen. So I don't get questions like "what is wrong with your arm"? My lymphoedema still brings challenges to the way I dress and clothes that I wear. Clothes are made in standard sizes between 8-24 or larger sizes. Wearing a bra has been very difficult. In the morning I could be a 'C' cup, then as the fluid builds up in my breast and under my arm by lunch time I could be a 'D' cup. By the end of the day I could be a 'DD' cup. That meant I would be having to change my bras twice or three times a day. However, if your are doing your best to live a normal life these changes are not always possible so by the end of the day I was very uncomfortable. I found a company who measured, fitted and supplied me with bras that move and expand with me. It took me four years to find a bra that would fit me properly. Since my breast cancer operation and the radiotherapy, dresses and tops never seem to fit right and for a while I was very self-conscious that clothes didn't sit properly. Luckily for me, a friend recommended a local seamstress. Now I have someone who works with me, makes the alterations I need and thoroughly gets my lymphoedema. While I haven't solved all my problems, I have at least been able to sort some of them. Most people see a bit of swelling. For me it was the final straw post cancer. I live with it and it is controlled but I hate it, just another way I feel different. L-W-O helps as I don't feel so alone. I hate the 'what have you done to your arm?' questions from total strangers. I want a card that says 'lymphoedema' - Google it." Our online support group members constantly voice that they would like someone to talk to. Lymphoedema patients will often struggle to be diagnosed and then struggle to get treatment. Therefore, if it is hard to get treatment for the physical side of lymphoedema, then it is twice as hard to get help for the psychological symptoms and counselling is virtually non-existent. My biggest fear is that my treatment will stop, although I do SLD myself, the MLD treatment I receive from Mary Ann Evans Hospice is my lifeline and it helps me cope and has got me through the last five years. I am lucky, many of the L-W-O online support group members have feelings of abandonment. 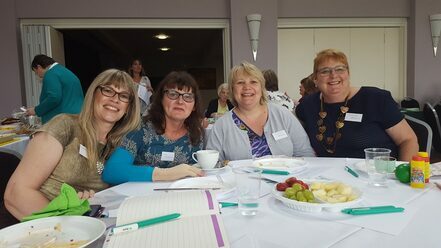 The above photograph is of Jo, Jam, Liz & Nadine at the Lymphoedema Awareness day May 2016. 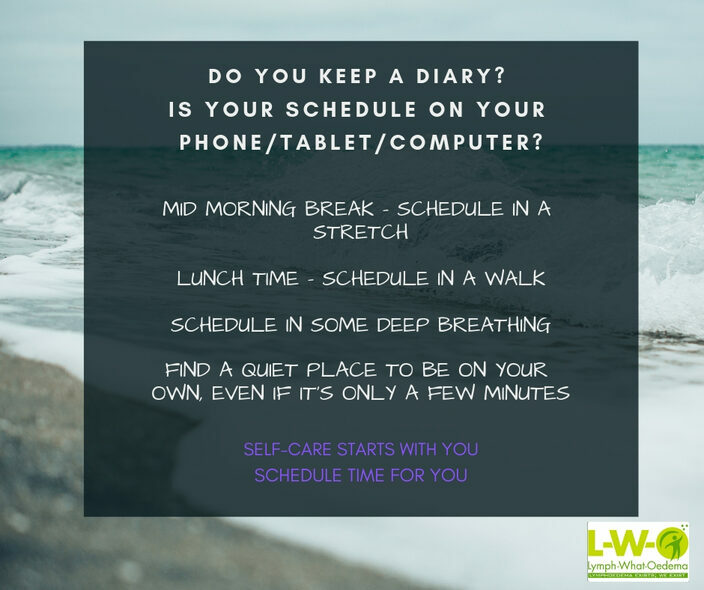 L-W-O support group members, often express their 'down days' or 'low moods' and the isolation they feel with this lifelong incurable condition. These feelings happen however, positive they might be. Yes, lymphoedema is manageable but a lot of our members get no support. One of our members recently left a surgeons consulting room in tears because she was told nothing could be done for her. Unbelievable!! Funding is a big problem and in certain areas funding has been cut or is just not available. One of the biggest surprises I had was when online members started talking to each other to find that they had never met anyone else with lymphoedema. Worse still some of our members had never spoken to someone else with lymphoedema. Therefore, I have to be very careful not to become complacent because I receive a lot of help and support from the Mary Ann Evans Hospice in Nuneaton. This is why lymphoedema patients need local support groups. Lymphoedema causes anxiety because you are constantly worrying what could go wrong and there are so many things you need to remember in the management of your lymphoedema. One of the biggest anxieties that all lymphoedema patients both Primary and Secondary feel is that their condition isn’t taken seriously and many feel that they are not listened to. The list below shows the most common thoughts our online members have voiced. 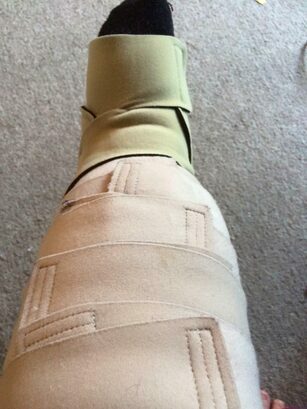 Now imagine what it is like for those that wear compression garments or have Multi-layer Lymphoedema Bandaging (MLLB). Finding solutions to clothing is a huge task. Trousers and shoes as the above photograph shows are very difficult for someone living with lymphoedema in their foot and leg. Thank you to Lisa for allowing me to share this photograph. There is one very important fact that we all need to remember. The images that we see on the TV, in glossy magazines and in print are most likely to have been airbrushed and made-up to look perfect. Therefore, what you think you are looking at is not necessarily real. Question to online support group members, "What are your biggest frustrations"? Wow this question really did get our members venting their feelings. The lack of warning, education and information came out on top. Members were extremely frustrated that before and after their cancer operations that they were not warned of the risk of lymphoedema. Neither were they warned that the radiotherapy could also cause damage leading to lymphoedema. In my case I wasn't warned or told anything about lymphoedema other that in my breast cancer treatment plan there was a local telephone number if I developed this condition. At that time there was so much to take in that an insignificant page with a telephone number on it did not register. One of our members wasn't diagnosed for nine years post op. Several members can't get a diagnosis at all, because nobody will either listen or refer them to a specialist unit. Yet these members know, their own bodies and they knew that something is wrong. The angriest members are those that blame their cancer for their lymphoedema. So not only have they all been through the ravages of cancer and its treatment they are given a second blow by being diagnosed with lymphoedema. Below I have put some of the posts that are members have added to our online support group. I have already touched on household chores and why this is important but the frustration felt by our members for not being able to do the simplest task really did get them going. The fact that they lose their independence because, they have to ask someone else to do things for them is demoralising. "My biggest frustration is that we can't ever put cancer completely to the back of our minds because the lymphoedema is a constant reminder. Also I get frustrated that I have to think before I do anything with my bad arm, whether its carrying something, lifting, cleaning, even stroking the dog. When stroking the dog, I have to use my good arm just in case it turns around and bites me. I also hate the fact that I can't write properly anymore for any length of time as it's in my fingers. There's probably loads of other things". Heather's answer is something I can relate to. I have a very dear friend and long term friend that I love to go and see but she has 2 dogs. Both dogs are very excitable and tend to jump all over you, many times I have come home with scratches, often breaking the skin and even drawing blood. Luckily for me its has never caused an infection. I find now I start to make excuses as to why I can't go and see her. Like Heather, writing has also become a problem, I used to have fairly decent hand-writing, not any more and my hand gets tired very quickly. It is a good job I can type, but even this can be quite tiring. Lots of our members also find working off Tablets and Mobiles for any length of time causes elbow, finger and wrist pain. We live in a technological age and computer skills are a necessity. For some the list below might seem insignificant but until you have been in this position you can't understand the stress, anger and frustration this causes. "I agree with Heather, it's a constant reminder of having had cancer. Two years after diagnosis it would have been nice to be able to put it to the back of the mind occasionally. It's frustrating that friends and colleagues think that I am over the breast cancer now and that I have moved on. They've no idea what it is like". I did worry at first when I asked the question on support group, "How does your lymphoedema make you feel"? Was the subject taboo? Thankfully I did get answers, some of them quite surprising, but there was a lot of anger and frustration at how lymphoedema changes lives. Most of our members try to stay upbeat and positive. However, 'down' days and 'low' mood days are inevitable. The anger especially amongst secondary lymphoedema members can be volcanic, bubbling under the surface for a long time before an eruption takes place. I hope by giving our members a place that they can have a rant and talk to other members who understand where they are coming from at least gives them a feeling that someone is listening and that we do care. 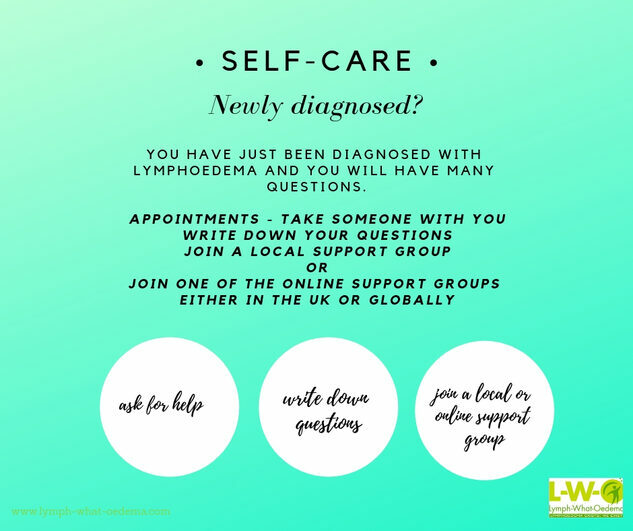 This page is dedicated to L-W-O's online support group whose members are caring, knowledgeable, supportive of each other whether they have primary or secondary lymphoedema. Through this website and the online support group my hope is that they feel now that they are not alone. The most heart-breaking stories are those of children who have primary lymphoedema. Then there are the teenagers who have their lives turned upside down. I can never imagine the feeling as you reach puberty and you have your whole life in front of you and suddenly, your legs start to swell, become infected and you are told you have lymphoedema. "Yup, life doesn't re-run to how you remember yourself. Other 'diseases' heal, and 'you' return, whether its chicken-pox or pneumonia or a broken bone. Not with cancer... your head space might be 'back' but your body keeps changing, and you need to constantly support it like a child. Quite difficult. No one gets any guarantees in life, and for sure there are always people with far worse and there are those who've never known any different. I feel I've lost my best years to just staying well enough to survive and making a living. I know that's not 100% true, but its hard not to think about the 'would have been' some days. I gotta just remember that it is only takes a day for things to change for the better again, if I am open to it." One of the hardest things to cope with when you are diagnosed with a long term condition that has no cure is depression. Having had cancer to then be told you have lymphoedema a condition that has developed because of your cancer treatment really knocks you off balance. However, your lymphoedema is manageable, speak to your GP and if there is one in your area, join a support group. 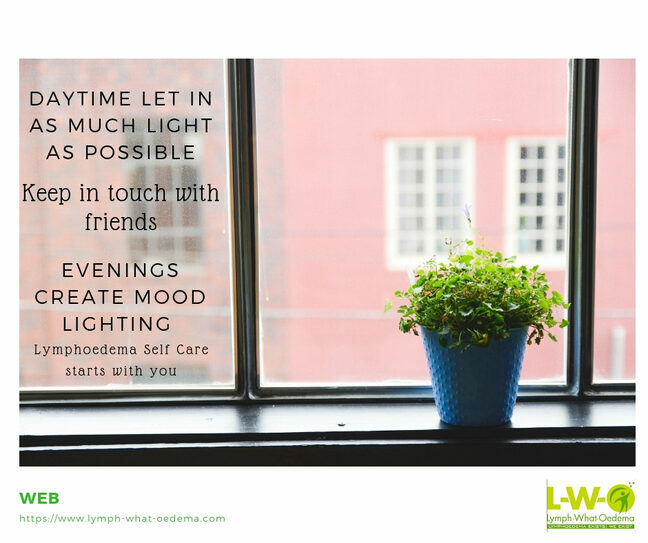 I would be very surprised if living with lymphoedema didn't cause you to have low moods or down days. ​There are days when your body aches and you are uncomfortable. The days when your compression garment makes you feel unattractive. Or the days when a simple task turns into a mammoth one. So what is a low mood? If these feelings don't go away after a couple of weeks, then please see your GP as the longer this goes on then, this could lead to serious depression. One of the hardest thought processes you can have is to accept the things you cannot change. You cannot change the fact you have lymphoedema. 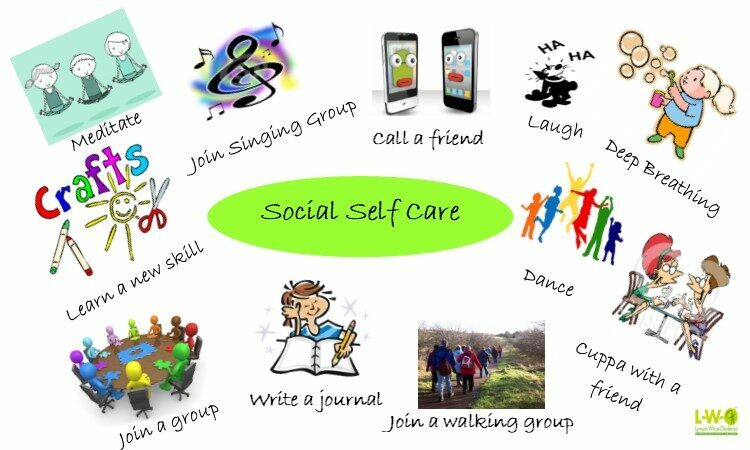 However, you can get treatment and you can help yourself to manage your own treatment. I am sure that many us will insist we haven't got a creative bone in our bodies. This is simply not true. Some of us don't look forward to the Autumn, Winter weather, turning the clocks back the night's drawing in and the shorter days. It is believed that around two million people suffer with SAD (seasonal affective disorder) an aptly name form of depression which can leave you unable to function. This usually appears from September through to March. There is no cure for SAD, add Lymphoedema into the mix and life can become very isolating. Here are a few tips to get through the winter months. Get outdoors. There's more light outside. 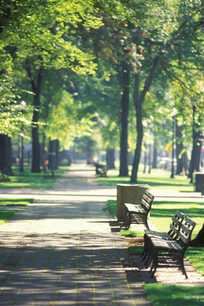 Try a walk morning and lunchtime. Keep active. Regular exercise helps with depression and the immune system. Eat a balanced diet. This can help to curb carb cravings. Brighten up the home. Let in as much light as possible. ​Keep in touch with family or friends. A beverage with a friend at your favourite café or pub can be therapeutic. Get support. Sharing your experiences helps to manage symptoms. ​Don't be afraid to say, "I need help". ​Do some voluntary or community work or take up a hobby. ​Be positive. Try to accept the things you can't change. 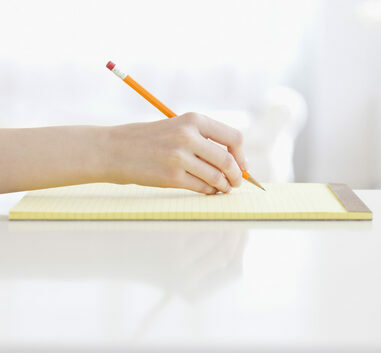 ​Write your thoughts down, this can be cathartic. ​​There is a very good website to help with exercise, take a look. 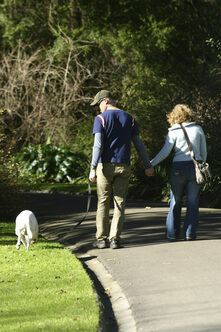 Put your postcode in and see if there is a walking group near you.